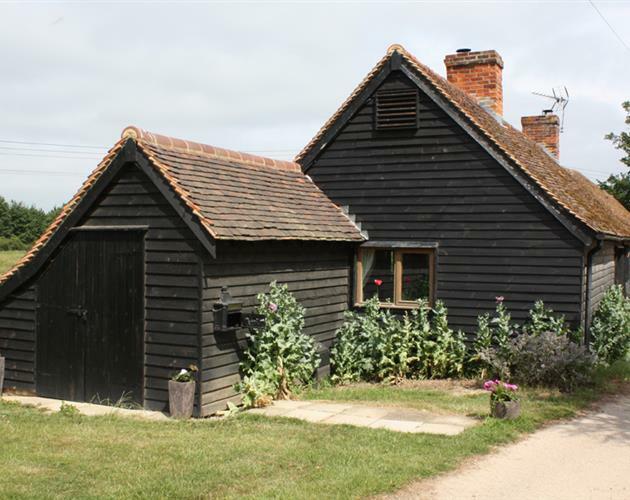 Bury Farm Cottages - self catering accommodation in the Essex countryside. Discover the real Essex at our recently renovated self catering cottages in the peaceful village of Great Canfield. Ideally situated for Stansted Airport, Cambridge, Duxford, Colchester, Chelmsford, Saffron Walden and only an hour from Central London / West End they are hidden away along a half mile private lane and offer high quality comfort, rural views, bird watching and farm walks. The cottages were formerly bake houses and stables and have been converted to a very high standard combining authentic features from a bygone age with the convenience of modern amenities. Each cottage has vaulted ceilings, exposed beams, oak flooring and doors. They are also very well equipped with TV and video, mini hi-fi systems, dishwasher, fridge freezer, microwave, oven and hob in each kitchen.